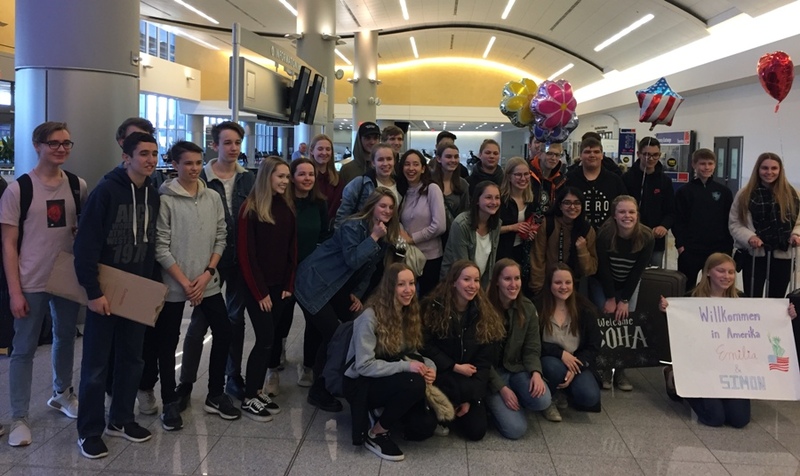 American partners welcome German exchange students at the airport. They stayed for three weeks, arriving on March 19 and returning home on April 11. Just before spring break, Starr’s Mill High School’s World Languages Department welcomed 17 German exchange students to the school to allow them to learn more about the American culture. 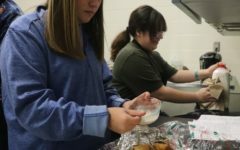 Not only did the exchange students benefit from this new experience, but Starr’s Mill students in Antonela Kljajic’s German classes also gained valuable cultural understanding. 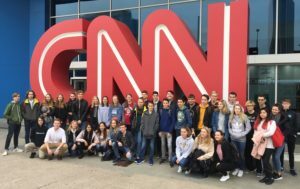 Along with their American counterparts, the German exchange students visit the CNN World News Center. It was the highlight of the trip for many of the exchange students. The German-American Partnership Program has been a part of Starr’s Mill for around 20 years. 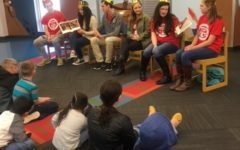 “I joined the school in 2014, and I took the responsibility from the previous teacher,” Kljajic said. 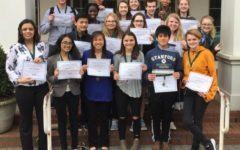 This program is a tradition, where students from German schools partake in the American high school experience at Starr’s Mill High School and McIntosh High School. The exchange students who temporarily joined Starr’s Mill were from the schools Gesamtschule Arn Rosenburg an Main-Taunus-Schule. According to the Gesamtschule school website, the purpose of of this exchange student program was primarily to get to know the ‘American way of life’ by staying in families and attending an American school. Another exchange student, Robin Theis, pointed out the differences in the student-teacher relationship than what was observed here. “[In Germany] the students don’t know that much about their teachers,” Theis said. At Starr’s Mill, teachers and students interact with each other with a sense of equality, which is more efficient than a simple lecture. It develops a closeness within the school and boosts school spirit. “We experience a great difficulty in selling our school t-shirts,” Blumhoff said, due to the lack of a prominent school spirit. “School seems more fun here,” Theis said. Not only did the German students learn more about America, their partners also learned more about another person from a different country. In the reserved, seemingly utopian Peachtree City, this is a very valuable experience. “I basically became great friends with a total stranger,” junior Laura Anderson said. Her exchange partner was Emilia Belosevic. Senior Marleena Tamminen learned that her exchange student Janne Blumhoff loved music. “She listens to more American music than I do,” Tamminen said.